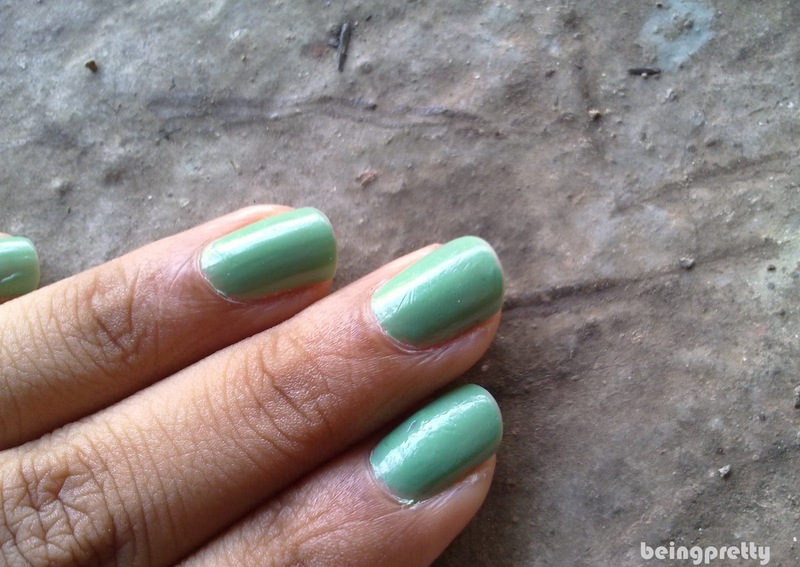 So here are some recent NOTD's..pics clicked from my cell phone.. I didn't get the time to take proper photos with my camera.. Will do detailed posts soon.. 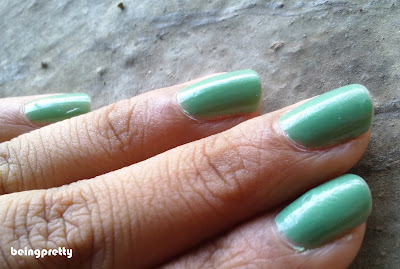 Okay..so you guys have already seen this green nail polish earlier..I am showing it again coz it changed colour!! It has become a lighter shade of what it was..and I must say a prettier shade now.. It doesn't make my hands lookd dark anymore.. It looks really good instead!! Yay! 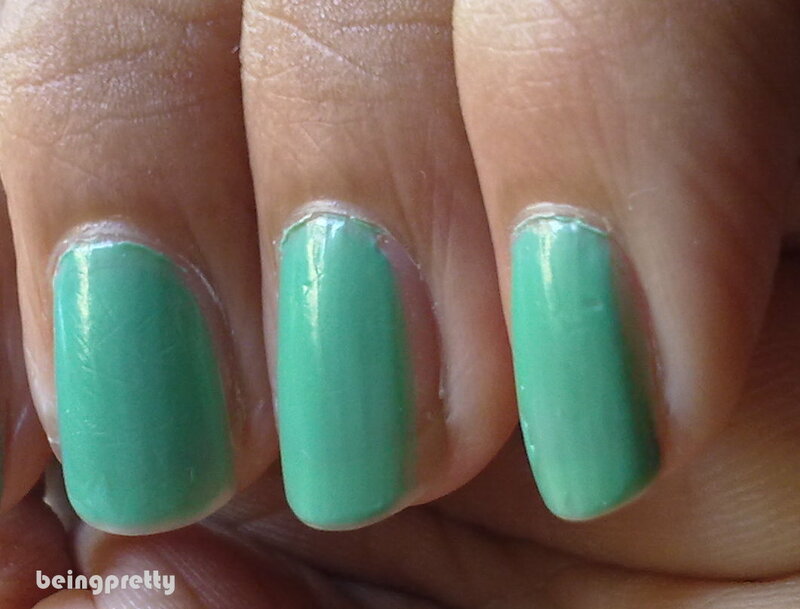 And this is another polish I like..it goes with everything.. 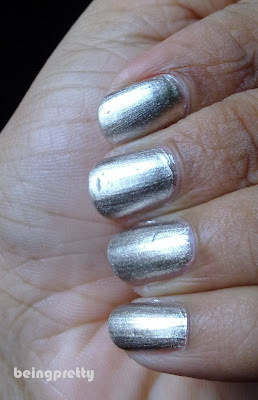 The pic doesn't do justice to it.. Will do a full-fledged post on this one..!